Why do cucumbers taste bitter? 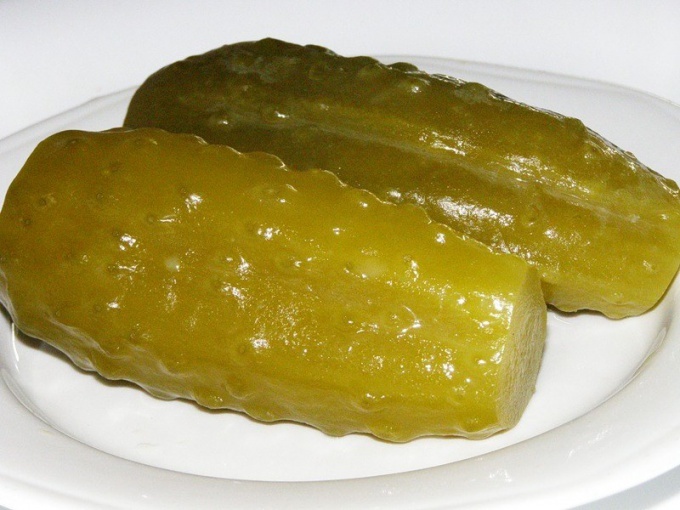 Canned cucumbers – lovely starter, able in winter to be replaced by fresh vegetables. However, sometimes a nuisance – pickle in the Bank is cloudy, and cucumbers lose their appetizing appearance. Why is this happening? The main reason cloudy brine canned cucumbers – wrong preparation of dishes in which they are harvested. To avoid this annoying trouble, banks should be thoroughly washed in warm water with baking soda, soap or detergent, and then a very good rinse from the soap.Inadequate sterilization can also cause clouding of cucumbers, as preserved the germs they eat food and produce gases. To prevent this, banks, several times rinsed with warm water, you need to place upside down over the steam. It is most convenient to do it over a kettle or pot with a narrow neck. Stand the dishes on a ferry is necessary within 2-3 minutes, and then to place the bottle on a clean towel.The tin lid, carefully pre-washed, should be boiled for 3-5 minutes. Then tightly roll up the Bank. Leaking cans clogging also leads to the formation of turbidity in the brine, because together with air in the jar fall microorganisms. They eat its contents, highlighting the brine waste products.In order to avoid spoilage of canned cucumbers all vegetables and spices (for example, leaves of currant, dill, etc.) should be washed thoroughly in warm water before laying in banks.The presence of cracks and, especially, chipping of the neck of the banks also creates an opportunity for the penetration of air containing microbes in harvested cucumbers.If, despite careful preparation dishes and products, canned cucumbers still dimmed, then the reason for this is lactic acid fermentation. It occurs when there is not enough vinegar in the brine. The situation can be corrected, drain all the brine from the cans, rinse the cucumbers and Bay them stronger marinade.It should be noted that not all varieties of cucumbers designed for canning. So roll up to the banks salad cucumbers, be prepared for the fact that the brine is turbid and acquire sediment.It is also important to use iodized salt for canning and to store the workpiece in the heat.